Named after Rotary's founder, the Paul Harris Society recognizes Rotary members and friends of The Rotary Foundation who contribute $1,000 or more each year to the Annual Fund, PolioPlus Fund, or approved global grants. The purpose of the Paul Harris Society is to honor and thank individuals for their generous, ongoing support of The Rotary Foundation. 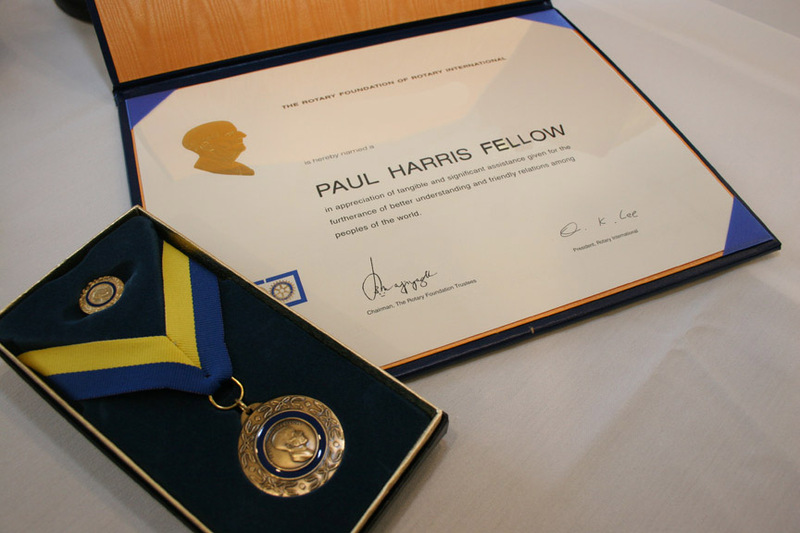 District 6970 has a long tradition of encouraging and fostering clubs to attain 100% of their members who have achieved Paul Harris Fellow status. 100% Paul Harris Fellow Club recognizes clubs in which all dues-paying members are Fellows. This is a one-time recognition.